Buy 1 - 5 for $27.99 ea. Buy 6+ for $20.43 ea. The Pentek DGD-5005-20 - Gradient 20 Inch Water Filter is a well water filter that works as both a pre- and post- filter, eliminating the need for step-down filtration systems in your home. 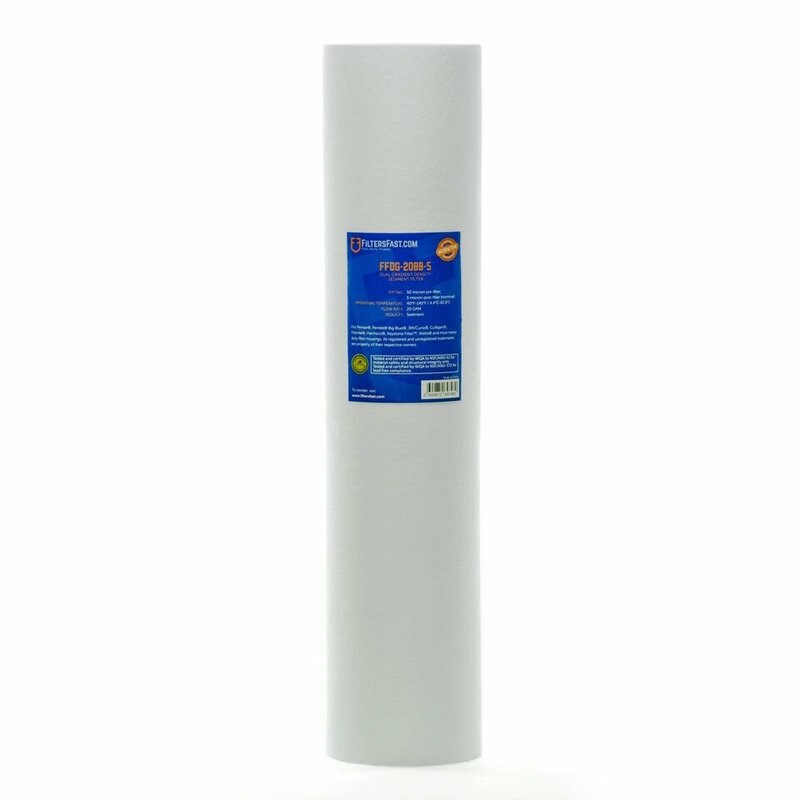 The outer layer of this American Plumber filter is a 50 micron pre-filter that takes out larger sediment and reduces the load on the 5 micron inner-layer post filter so that it can operate more efficiently. The pure polypropylene construction of this whole house water filter makes it resistant to chemicals and corrosion. 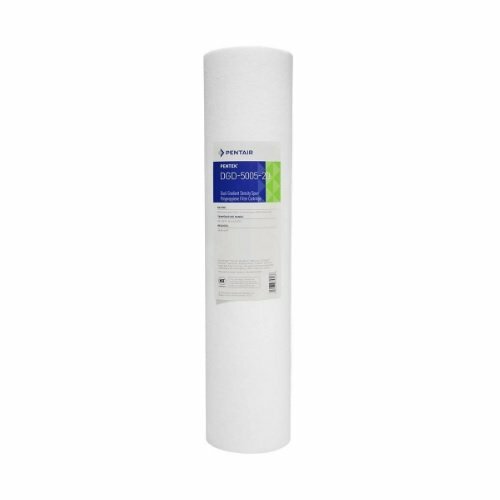 This is a replacement filter for the SpringHouse DGD-5005-20. This system was previously manufactured by Ecoquest. This Pentek water filter fits American Plumber, Culligan, Pentek, Ametek and other 20 inch Big Blue Housings. The service life of this 5 micron water filter varies depending on usage and water quality. The FiltersFast FFDG-20BB-5 is the correct replacement gradient water filter for the Pentek DGD-5005-20. The FFDG-20BB-5 produces a greater flow rate and overall enhanced sediment reduction. With pre- and post- filtration this filter reduces larger particles and captures finer sediment closer to the center. This eliminates the need for a step-down filtration system in your home and reduces the need to install complex water lines or other equipment. Its taller, radial-flow design allows more water to flow into the filter to reduce and/or remove chlorine taste, odor and other chemicals more evenly. The FFDG-20BB-5 should be replaced every 6 months for optimal performance and efficiency. 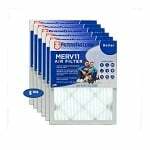 The Filters Fast FFDG-20BB-5 fits American Plumber, Culligan, Pentek, Ametek, SpringHouse and other 20 inch Big Blue Housings.